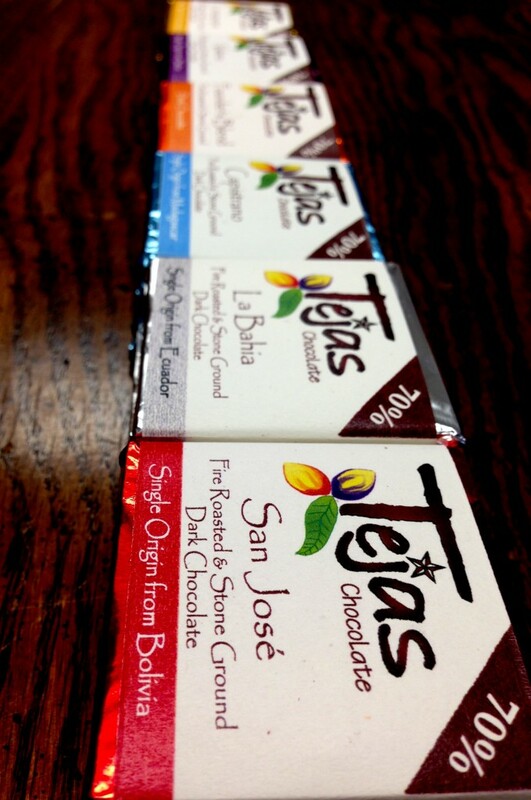 Making craft chocolate from the bean is a complex process. 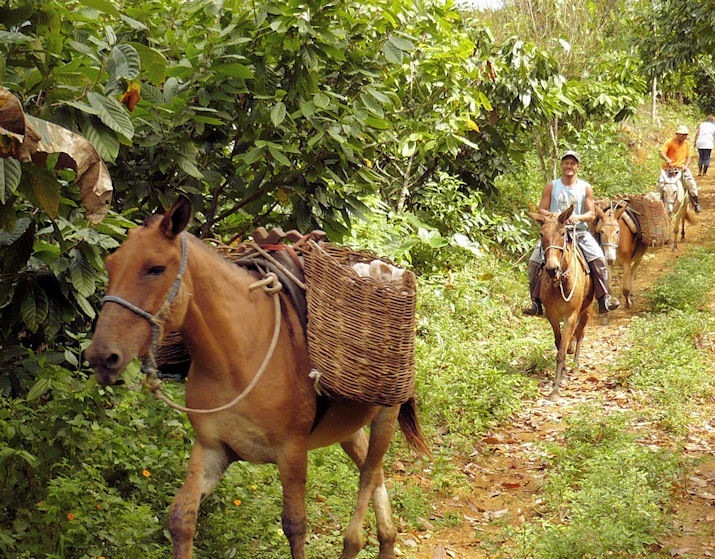 It requires careful attention to many details that start with the farmers. 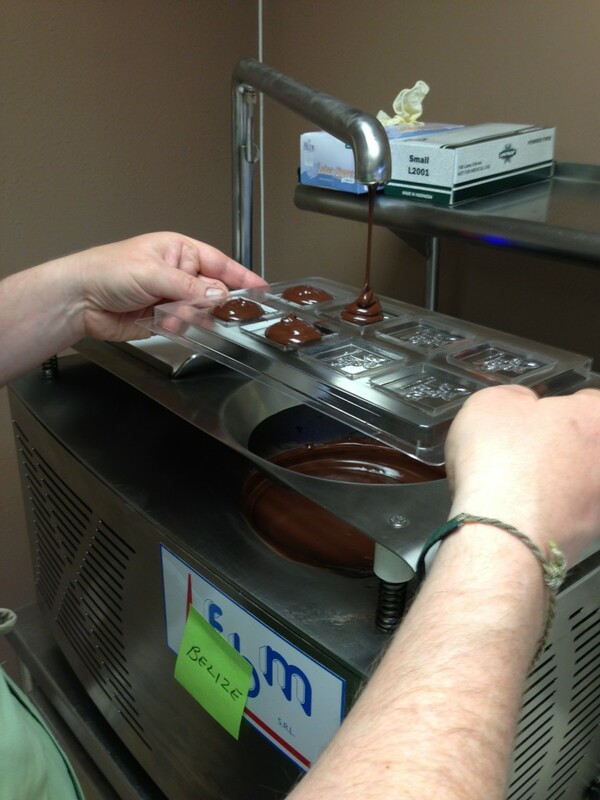 Here you can read abou tand see our entire process of bean to bar chocolate. These are pictures of cacao given to us from our friends at the farm Venturosa in Bahia Brazil. 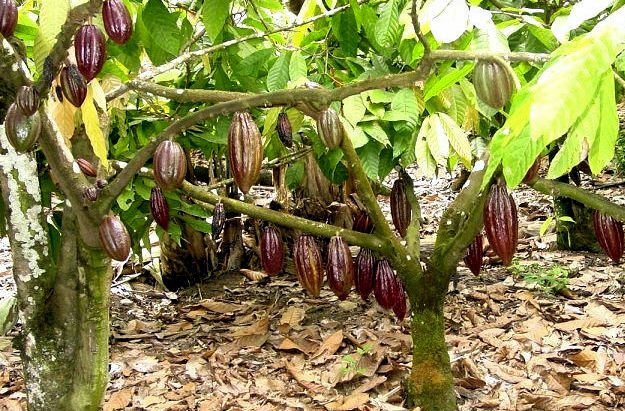 Cacao tress grow in tropical rain forests within 20 degress of the equator. The fruit of the tree is harvested. Then transported to the processing center. Cacao fruit is fermented over days in wood boxes to create cocoa beans. 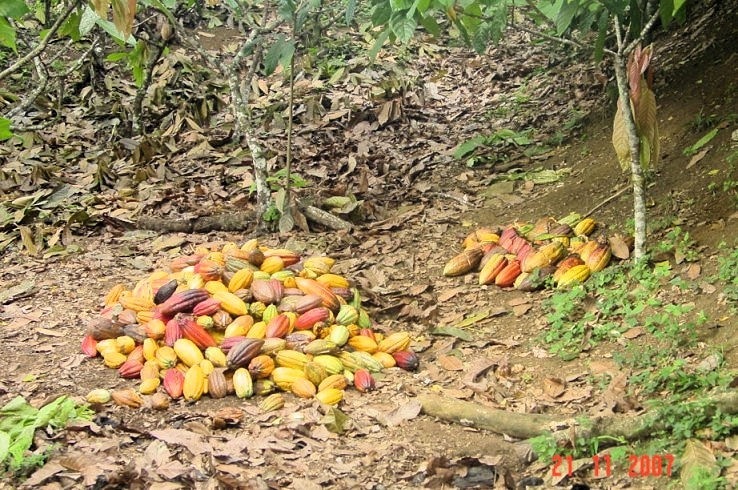 The fruit pulp surrounding the cacao seeds reacts with the natural yeasts present in the air. 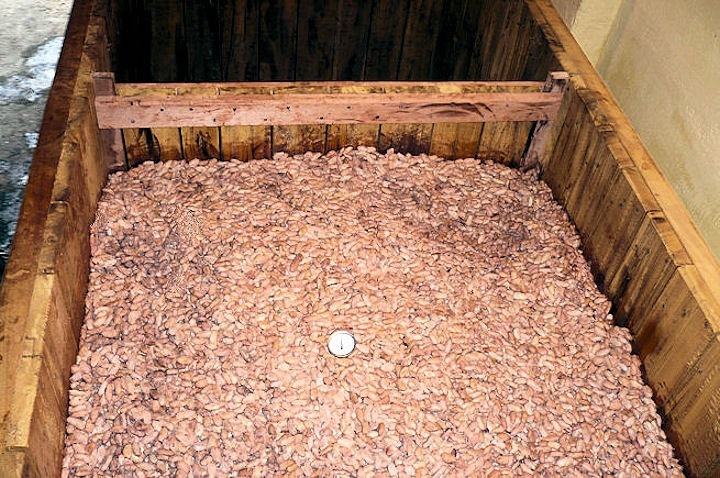 The sugary pupl turns to alcohol and then to acetic acid and sort of melts away leaving cocoa beans. This fermentation process develps flavors in the cocoa beans taht are unique to that particular origin. Proper fermentation technique is very important in producing the kind of premium cocoa beans that we can use to make fine flavor chocolate. 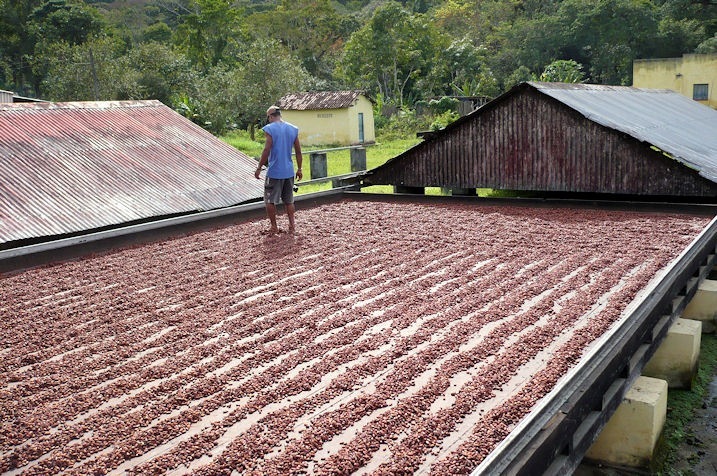 Cocoa beans are dried in the sun after fermentation. 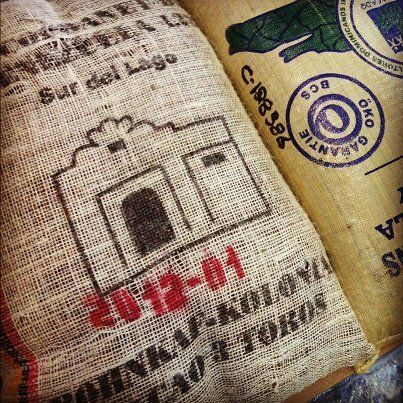 Premium cacao beans are bagged and made ready to export. 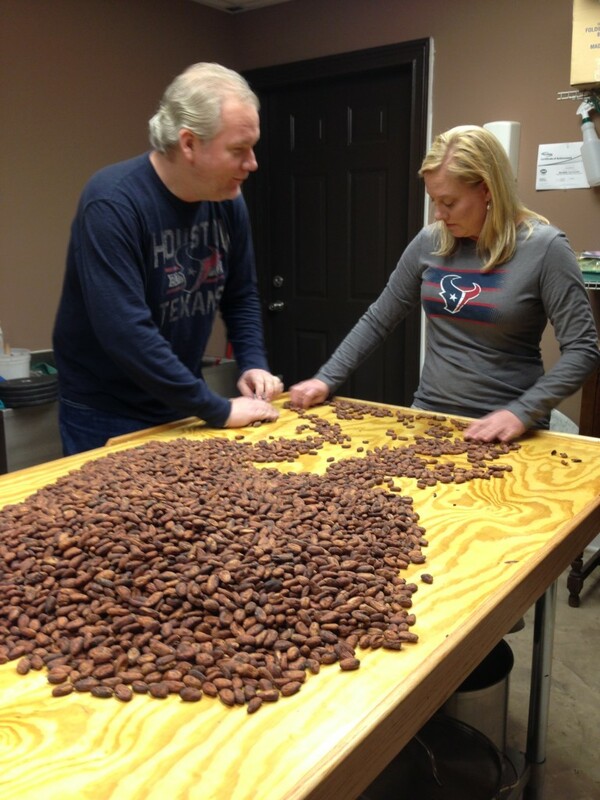 We sort cocoa beans by hand to select only those that are worthy of roasting for making chocolate. 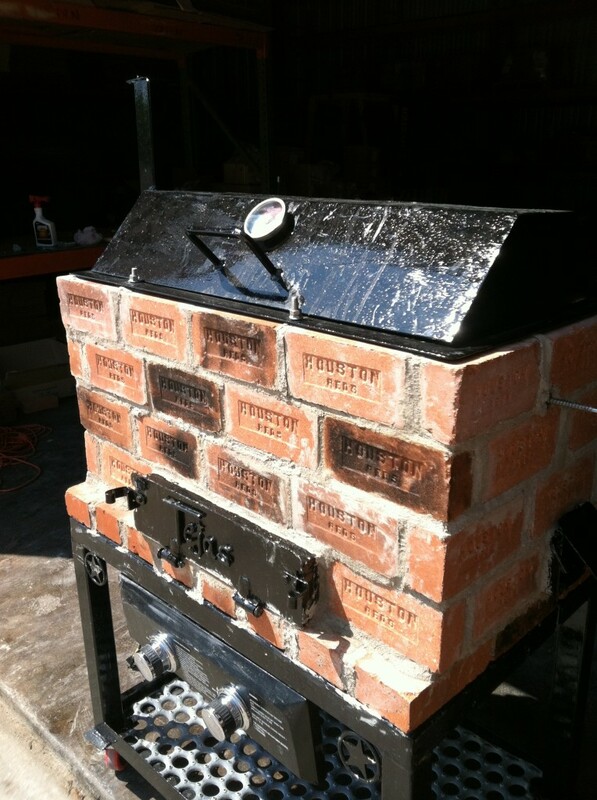 After cleaning and sorting, the cocoa beans are fire roasted low & slow in a solid clay brick oven we built. 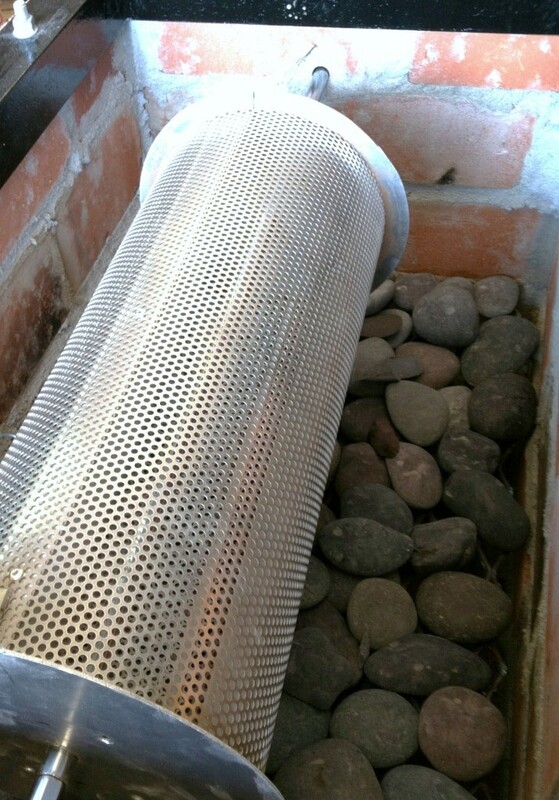 Cocoa beans gently turning in our custom drum roaster have time to develop complex flavors from the radiant heat coming off bricks and rocks. 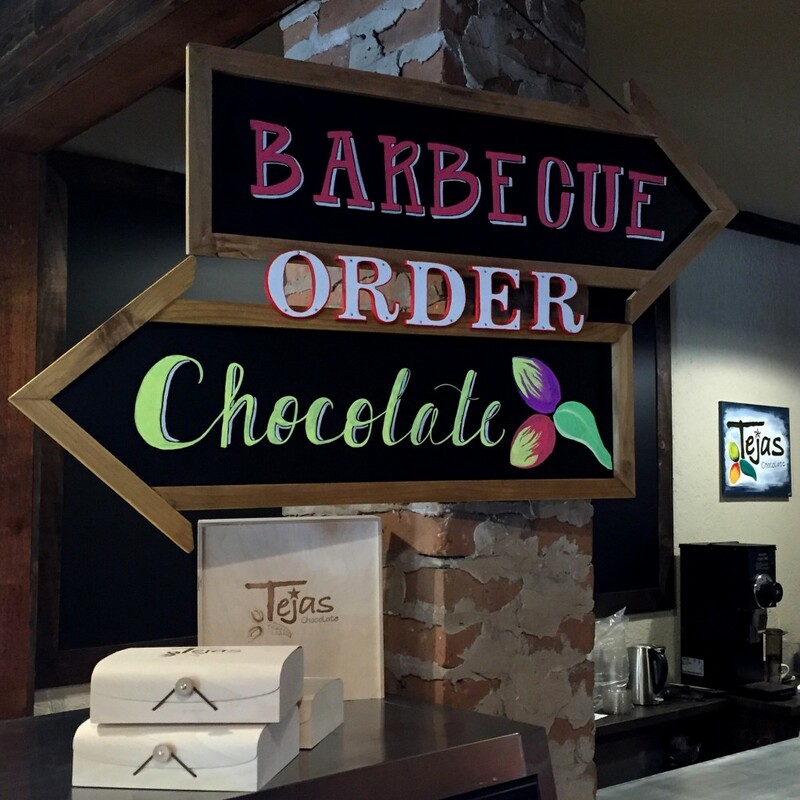 This roasting method creates flavors in chocolate that are unique to Tejas Chocolate. 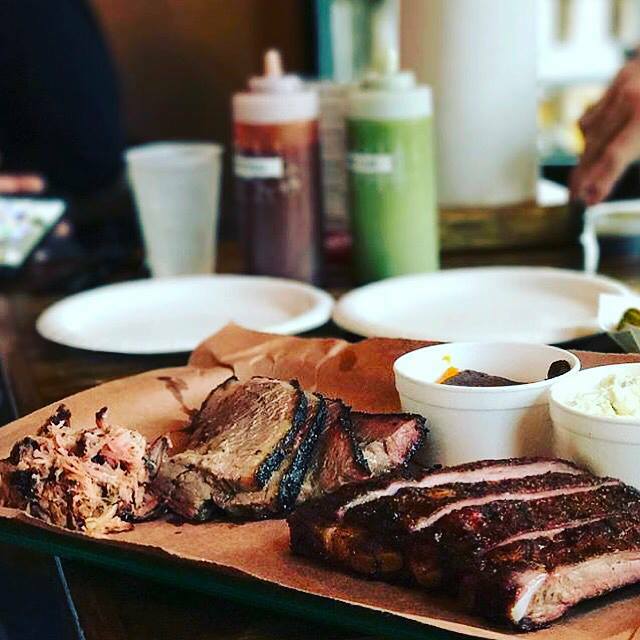 Each origin of cacao has it's own specific temperature and time designed to let the cacao reveal its unique flavor profile. The outer shell is separated from the cocoa bean leaving pieces of broken beans called nibs. 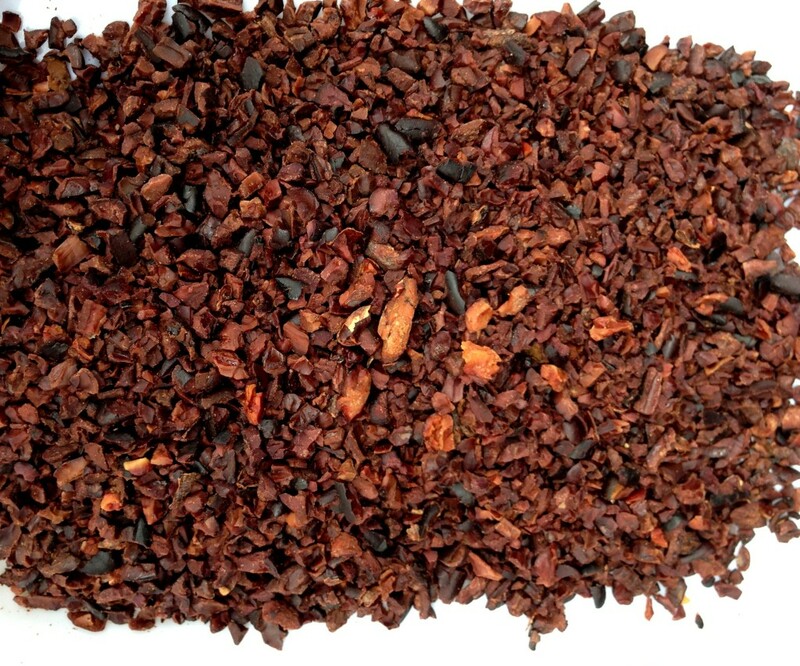 Cocoa nibs are stone ground, refined and conched for up to 60 hours depending on the origin of the cacao. Chocolate is then allowed to age for weeks to allow flavors to develop. 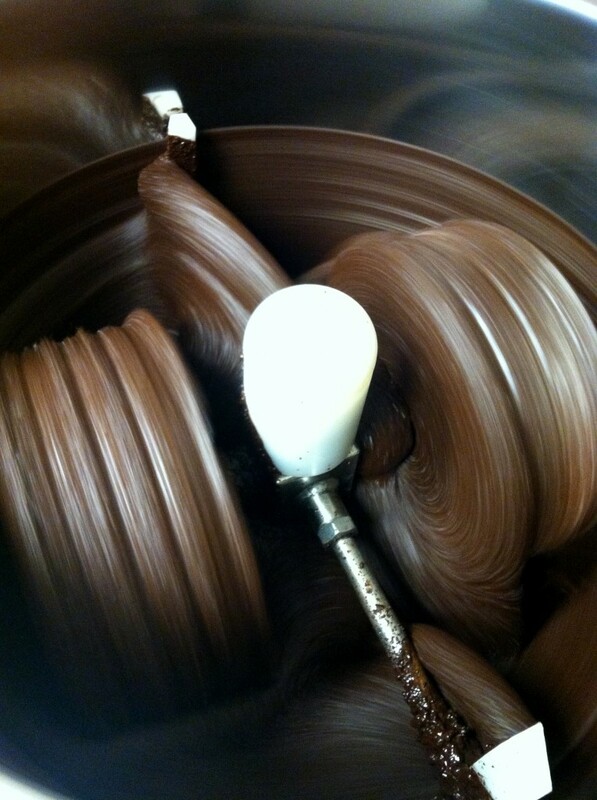 When the chocolate is ready, it is melted, tempered, and molded. 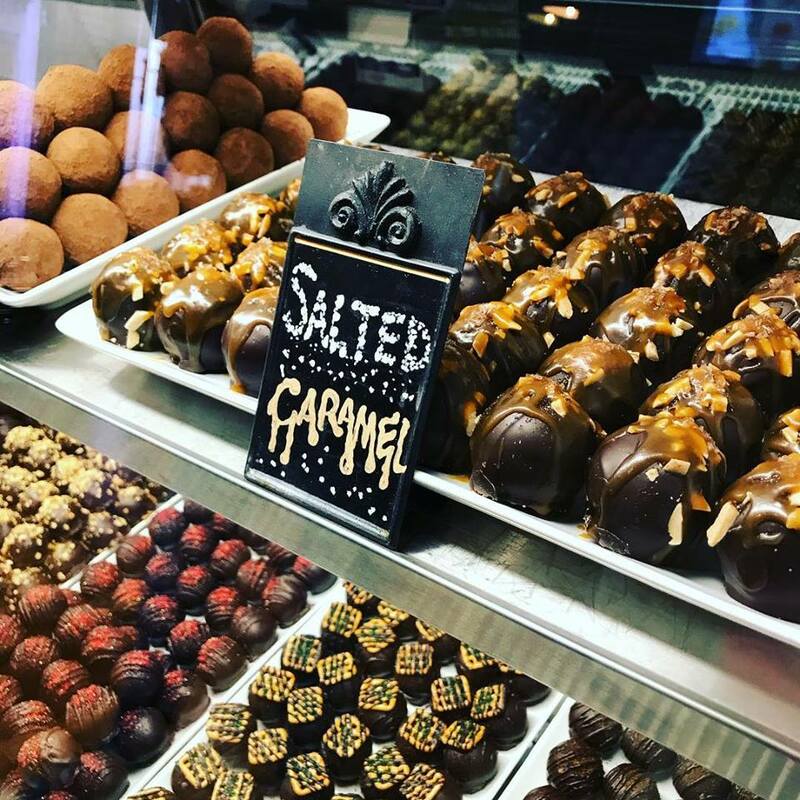 Tempering Chocolate is a process where we raise, lower, and raise again the temperature of the melted chocolate in very specific steps and temperatures. 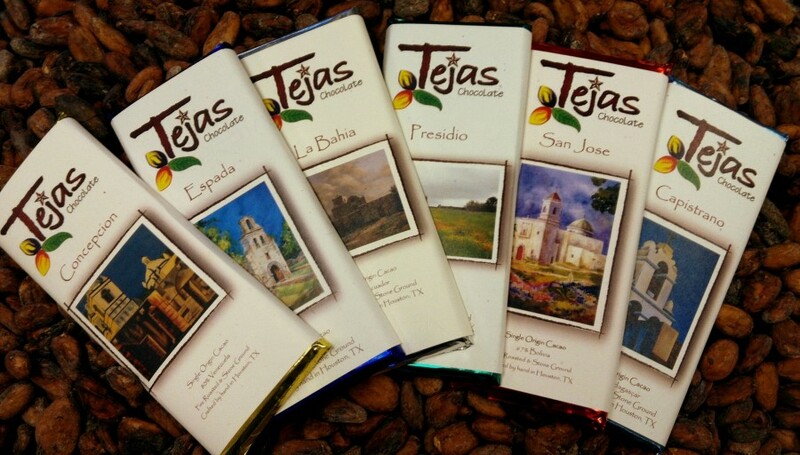 Tempered chocolate gives us the glossy and crisp finish that we all expect to have in fine chocolate. 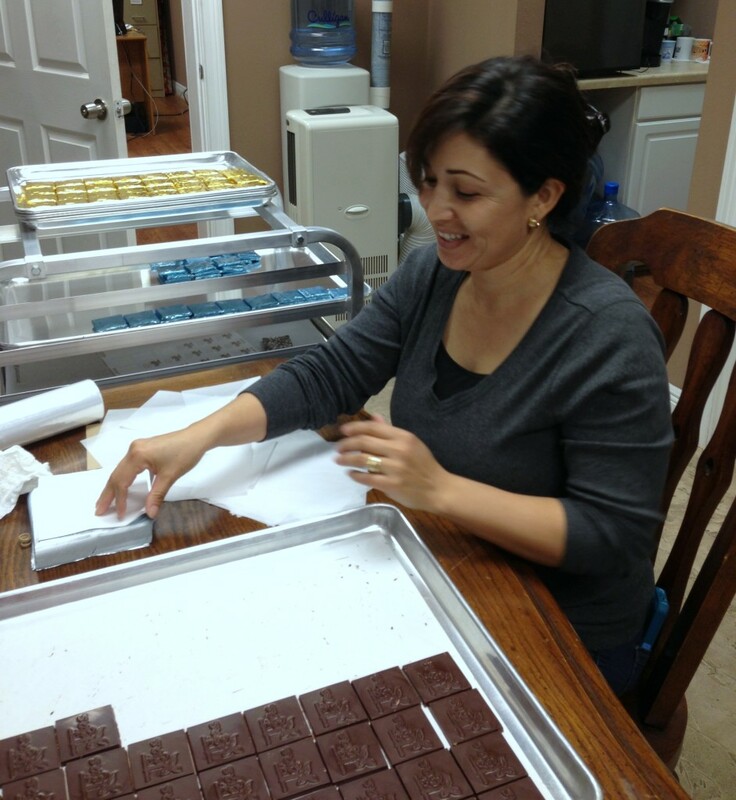 Bars are wrapped by hand and ready to ship.